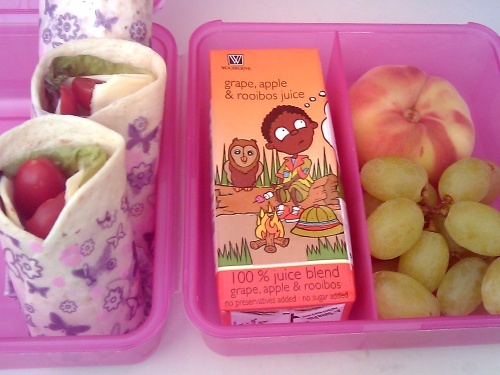 #433 - Caprese Wrap Lunch - Wots For Lunch? This entry was posted in Packed Lunches and tagged caprese, cheese, grapes, juice box, lettuce, mozzarella, peach, tomato, tortilla, wrap. Bookmark the permalink.